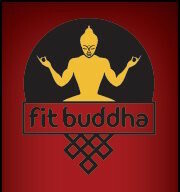 Start taking classes at Fit Buddha and other studios! Try a Fit Buddha class and discover what countless celebrities and top models already know. Lagree Fitness is the most innovating and effective approach to full body conditioning. Tough class and I loved it!! Love Stephanie! She takes the time to make sure you are correctly doing the moves and explains all the reasons why! The best! Stephanie is a great trainer/teacher. Always helping you stay in perfect form! Good, fast-paced class. They do spin first, so if you go hard on the bike, you’re pretty exhausted for the megaformer. Karina is an excellent trainer. Really encourages you as you work.